When Jesus appeared to St. Faustina, he asked that a novena be prayed to him every year asking for his divine mercy. While you can of course pray the novena at any time during the year, the official annual novena begins on Good Friday and ends the day before Divine Mercy Sunday, as Jesus asked of St. Faustina. Each day of the novena has a unique intention asking for mercy for different groups of people, and a prayer specific to that intention. Intention: Today bring to Me ALL MANKIND, ESPECIALLY ALL SINNERS, and immerse them in the ocean of My mercy. In this way you will console Me in the bitter grief into which the loss of souls plunges Me. Most Merciful Jesus, from the treasury of Your mercy, You impart Your graces in great abundance to each and all. Receive us into the abode of Your Most Compassionate Heart and never let us escape from It. We beg this grace of You by that most wonderous love for the heavenly Father with which Your Heart burns so fiercely. Today bring to Me THE SOULS WHO ESPECIALLY VENERATE AND GLORIFY MY MERCY,* and immerse them in My mercy. These souls sorrowed most over my Passion and entered most deeply into My spirit. They are living images of My Compassionate Heart. These souls will shine with a special brightness in the next life. Not one of them will go into the fire of hell. I shall particularly defend each one of them at the hour of death. 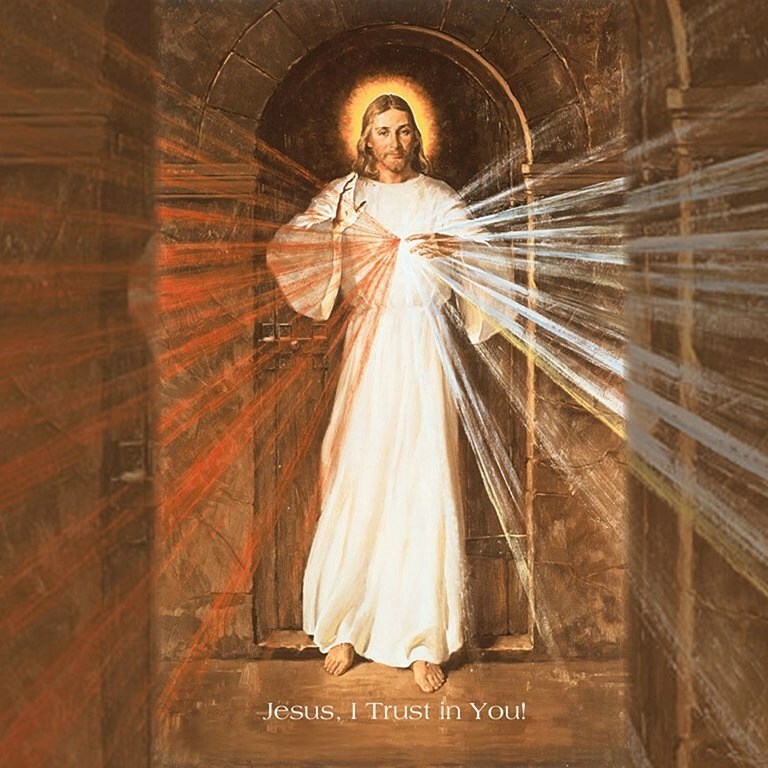 Today bring to Me SOULS WHO HAVE BECOME LUKEWARM,* and immerse them in the abyss of My mercy. These souls wound My Heart most painfully. My soul suffered the most dreadful loathing in the Garden of Olives because of lukewarm souls. They were the reason I cried out: ‘Father, take this cup away from Me, if it be Your will.’ For them, the last hope of salvation is to run to My mercy.